Buried Treasures is the confluence of two great spiritual rivers that led to the fulfilling of the author's destiny — a near death experience and the vision quests of an indigenous village of Mexico. Buried Treasures is the story of 3 years in the early adult life of Guru Singh (the book’s author). Gerry Pond (Guru Singh) was twenty years old when he died in a Seattle hospital from a ruptured appendix. This near-death-experience, and all that came with it, gave him the resolve to deliver on his dream of being a musician for freedom and peace in the musical revolution of the 1960’s. 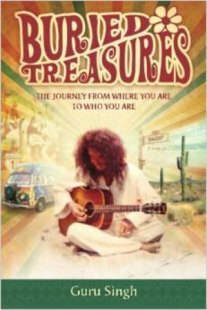 The book follows the years that it took for him to get out of the Army Draft; land a recording contract with Warner Bros. Records; record and perform his music while living in San Francisco of the 1960’s; explore higher consciousness with an indigenous village in remote Mexico and find the path he is still on today. 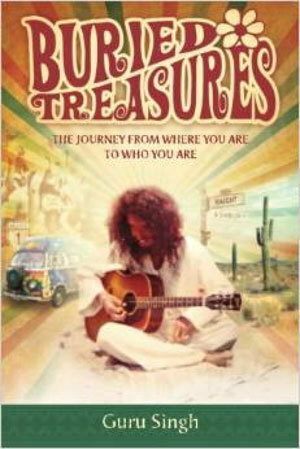 Buried Treasures is his journey, but also the journey that each of us must travel to get from where we are to who we are destined to become in our lives. We all have this story in us and each individual’s version of this story is the classic hero's journey.